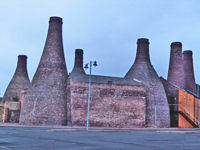 "Stoke-on-Trent a City born of five towns, World famous for its Potteries once had 4000 Bottle kilns, now only 47 Remain. 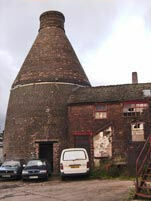 The Ceramic Industry built the City with Coal and Clay in plentiful supply. The making of fine ceramics still exists but the age has moved on and regeneration in the city has removed the communities that surrounded these works leaving Industrial Remnants to slowly decay. 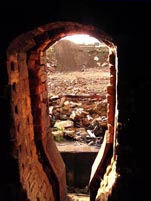 To me there is a beauty in their honesty, in the lives of the people that worked and lived in the Potteries and the buildings they left behind."